Highly caffeinated energy drinks have come under fire in recent years. In 2010, the Food and Drug Administration sent out warning letters to makers of these beverages, explaining that these alcoholic and caffeinated drinks were not safe. These letters came as a result of numerous reports that college students, in particular, were suffering from alcohol poisoning and blacking out while drunk after consuming these drinks. 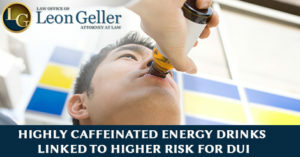 Mixing high levels of caffeine and alcohol can be a deadly and dangerous combination, according to health experts in the FDA. The makeup of the energy drinks makes it challenging for individuals to sense how intoxicated they are, leading to riskier and more drinking behavior. According to some new research studies, however, these caffeinated beverages may also be linked to more serious concerns. In a study of 1000 college students spread across six years, researchers identified that non-alcoholic energy drinks could also have an impact on a person’s likelihood to drive drunk. The finding supports previous studies that have linked use of alcoholic energy drinks to dangerous behaviors. The study published in Alcoholism: Clinical and Experimental Research, however, is the first to discuss the link between non-alcoholic energy drinks and drunk driving. It’s not yet clear from the data identified from this survey, how non-alcoholic caffeinated beverages relate to drunk driving, although researchers did speculate that using non-alcoholic energy drinks before or while consuming alcoholic ones can increase the chances of risky drinking behavior including drunk driving. Students may also have attempted to consume an energy drink without alcohol after consuming alcohol in order to address hangover issues. Regardless, energy drink consumption is still a major problem associated with higher risk of drunk driving. Being accused of drunk driving in Maryland can have consequences that follow you for many years to come. This is especially problematic for college students as well who may be facing criminal and civil trials as a result of an accident caused by drunk driving. Drunk driving is an issue taken quite seriously by the authorities in Maryland and is the one that warrants the insight of an experienced Rockville DUI defense attorney. College students may face additional ramifications for drunk driving as it could distract them from their studies, pain from an accident could make it difficult to go to class and time spent away dealing with the legal issues associated with the case could even cause a college student to drop out. This is to say nothing of the potential university implications for facing charges as well. A student could be reprimanded by the university or face loss of privileges as a result of having something on their record. This is why it is essential to reach out to an experienced attorney as soon as possible after being accused of drunk driving in Maryland. You should never minimize a drunk driving allegation as a minor issue that you can handle on your own. Rather, as soon as possible, after you are arrested, you should exercise your right to speak to an attorney so that you have a clear understanding of what is happening and how this can affect your future. A lawyer with extensive experience handling DUI charges and in particular, DUI charges for college students in Maryland is strongly recommended. Also Read: How Many Drinks can Lead to a DUI? You need an attorney who will keep you informed at each stage of your case and provide you with options for resolution. 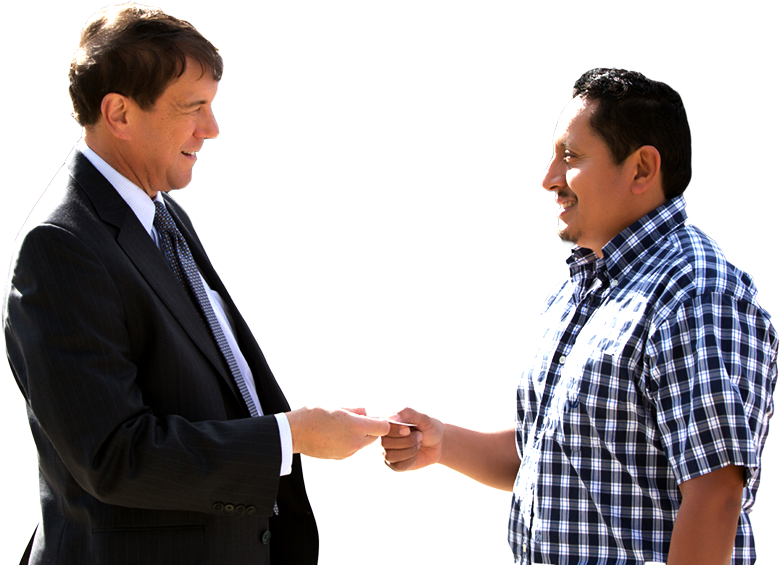 Your attorney, for example, may be able to negotiate different outcomes like minimizing or dismissing the charges based on the facts of your case. In any case, it’s far better to consult with an attorney immediately after the arrest occurs while the details are still fresh in your mind. If police violated your rights or if there are other reasons to believe that the charge is not legitimate, your lawyer needs to know this immediately. Next post: Is Stop and Frisk Legal?